Millennials are being called the new Boomers, and I’m honored to be aligned with this smart, upwardly trending group. Our generations have a lot in common even though these young people face very different possibilities and challenges than I did when embarking on my career. First of all, Boomers and Millennials both face a huge competitive market. For every job application, Boomers could face thousands of other Boomers competing for the same job. Today there are even more Millennials than Boomers and they are making a lot more demands of their employers. They are being pickier, in spite of large college debt. We Boomers grew up with dads that often stayed at the same company for their entire career. Millennials grew up in what economists call a 1099 economy, in which people work as independent contractors rather than full-time employees with benefits. Many professionals expect their next job will be at a different company. It’s a mobile society filled with opportunities that are easier to find than when I entered the work force. Job seekers can research a company’s diversity, the age and gender of their managers, their historical response to economic shifts, record of promotions and layoffs, family leave policies, and much more. People now submit job applications online and corporations screen them with computers. Millennials know there’s more to life than money. They have a clear sense of their emotional interpersonal needs, and that includes how they want to be treated on the job. When you’re smart and you have a lot to offer, you won’t stick around if your ideas get shot down by your boss or co-workers. Millennials want management to be supportive, to use good communication skills, and to value every team member, and in order to feel fulfilled, they need to feel their contribution is valued. And that brings me to another need that Millennials share with Boomers: purposeful work that can help improve the world and life for its people is high on the list of rewards. I don’t mean they don’t value money because after all, everyone needs money to support their lifestyle. But Millennials know that money can never make up for feeling your boss doesn’t value your work every day, for feeling unsuccessful, and for a lack of coaching and role models needed to help you advance. Women in both generations want to follow their passion. We’ll work harder, put more thought, creativity and drive into pursuing something we’re passionate about, and feel so much better about it, than we will just to get a paycheck. It’s exciting to see Millennials step into their work lives with such idealism and expectation. It’s also exciting to see them insist on diversity so they can work with people who look like they do. I’m seeing them work for parity for women, not only in pay, but in leadership roles—in upper management, community leadership and public service–all the areas where women still lag so far behind. I’m confident we can accomplish this together. Millennials are a step ahead of Boomers, having been raised to honestly believe they are equal to anyone. They are well-educated, understand the latest technologies and know how to use them creatively to improve the world. Let’s reach out to support one another. Let’s learn how to work together and make tomorrow’s world an abundant, sustainable place where all of us can live. 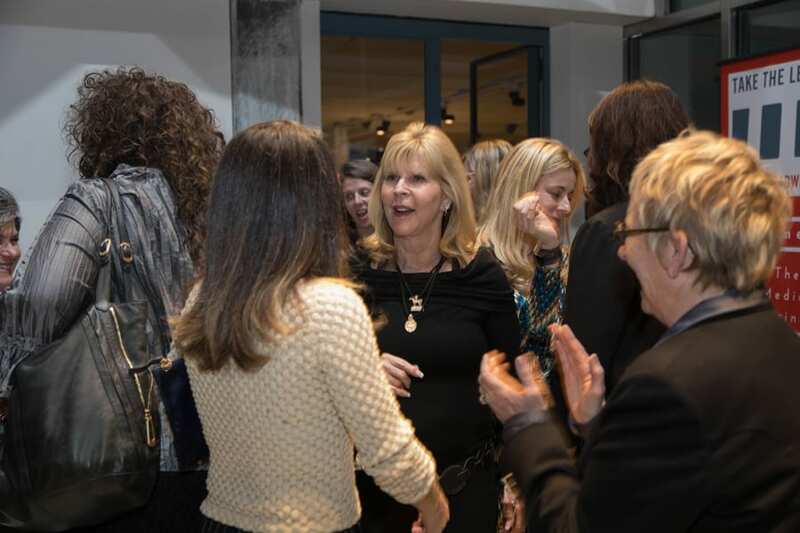 Last week, I was pleased to join in a celebration with other empowered women and men, founders and directors, leaders, students and authors from different fields and many young women future- leaders for a Friend-Raiser at Anika Rahman’s home in New York City. 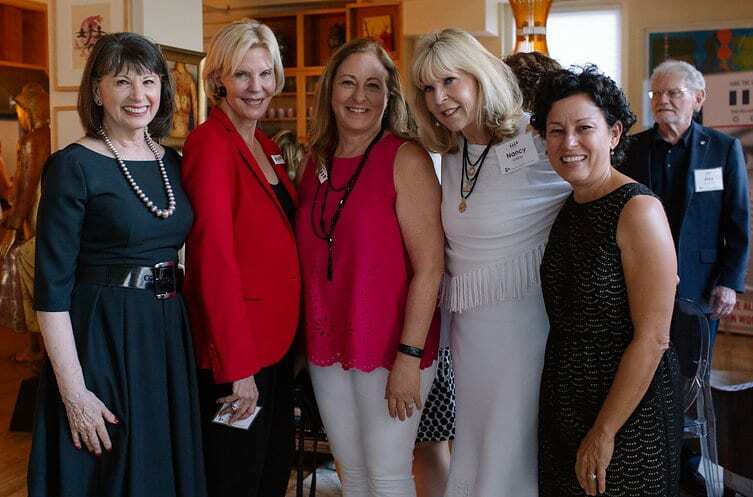 We were there to celebrate Take the Lead co-founder and Leading Women co-author, Gloria Feldt’s birthday and to engage the participants in the planning and coordination of Take the Lead Day to promote “Powertopia, A World Where Gender Parity Is Achieved,” which will take place in November. It is so inspiring when powerful women come together to do something important. Nothing is more crucial to our future success than gender parity. The statistics differ among countries, states, careers and races, but the fact remains that women are still significantly underpaid and under-represented in top leadership in both the private and public sectors. We continue to be paid less for the same work and remain undervalued in the halls of power where we can make the most positive difference in the world today. 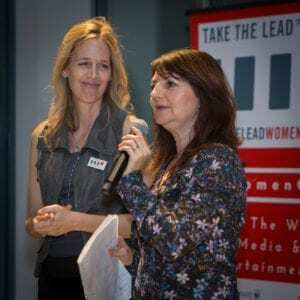 Take the Lead’s mission to reach gender parity by 2025 is central to achieving the 50/50 balance of women and men that we need to create a world that supports and sustains healthy and fulfilling human life. Our hostess for the event, Anika Rahman, is an attorney, the founding director of the International Legal Program at the Center for Reproductive Rights and has served as President and CEO of the Ms. Foundation for Women among many other accomplishments. Amy Litzenberger, co-founder and board chair of Take the Lead and a former investment banker, who lends her expertise in funding and strategic planning to start-up companies and social profits, introduced the evening and the topic of Powertopia. Gloria led the discussion about women’s ambivalence to power and how our culture has taught us to shun power as a force people use to make others do what you want. 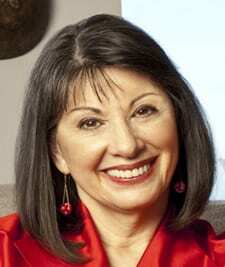 Instead, Gloria has embarked on educating women to embrace their power as a means to accomplish their goals, concepts first expressed in her book, No Excuses: 9 Ways Women Can Change How We Think About Power, and later in her chapter in Leading Women. Let this Friend-Raiser and gathering be an example of what happens when we collaborate to advance women and men everywhere. When one succeeds, we all succeed. As we change our relationship with power, we can write a new chapter in human history that truly supports the common good of all, not just a few. Stay tuned for more about the Take the Lead Day in November and trainings and events to promote Powertopia, a world where women are totally equal and gender parity is achieved. In order to reach parity in business and government by 2025, women must get comfortable with claiming and exercising power. What is your relationship to power? On a scale of one to ten, with one being, “I don’t like the idea of power so I don’t seek it,” ten being, “I love having power,” and the middle range being, “I’m not so comfortable with power, but I know I need to deal with it,” where do you place yourself? I wasn’t surprised. I see this bell curve in almost every predominantly female group. Men are far more likely to claim to be tens without hesitation. In one mixed group, a man, trying to be encouraging, chided a young woman who pegged herself as a two, whereupon she curled up into a fetal position in her beanbag chair and I had to coax her back into the conversation. I started studying women’s relationship with power in 2008, when it appeared we might have our first female president. I wrote an article for Elle magazine about women in politics, assuming it would be an optimistic look at how women are ascending to elective office. How surprised I was to learn, however, that at the rate we were progressing, it would take another seventy years for women to achieve parity in Congress. the dynamics of power are the same. Women currently represent 51 percent of the population, 57 percent of college graduates, half the workplace, and 54 percent of voters, but only hold 18 percent of the top leadership positions across all sectors. Despite the potential power of sheer numbers in all these areas, we have barely moved the dial toward meaningful leadership parity in the last two decades. The business case for women in leadership is clear: more women equal greater profits. Yet the 2013 Catalyst Census reports found women flatlined again compared to the previous years 14.6 percent of executive officer positions in Fortune 500 companies and 16.9 percent overall of board seats—the eighth year in a row of no appreciable increase. 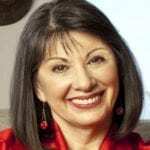 This post is excerpted with permission from “From Oppression to Leadership: Women Redefine Power,” by Gloria Feldt, in Leading Women: 20 Influential Women Share Their Secrets to Leadership, Business, and Life (Adams Media, 2015, ISBN: 978-1-440-58417-6, $16.99, available at bookstores nationwide and from online booksellers. 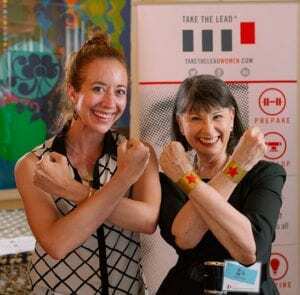 Gloria Feldt is the cofounder and president of Take The Lead, an initiative to prepare, develop, inspire, and propel women to take their fair and equal share of leadership positions across all sectors by 2025. 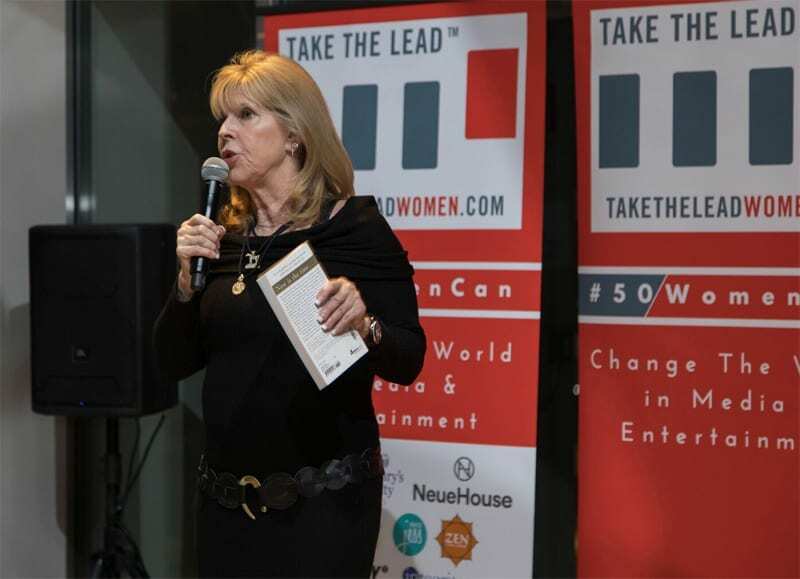 Take The Lead provides training, mentoring, role model programs, and thought leadership to companies, women’s groups, and individuals. The bestselling author of No Excuses: 9 Ways Women Can Change How We Think about Power, and three other books, she began her journey as a teen mom and high school dropout from rural Texas, then used her experience to become president and CEO of the world’s largest reproductive health and advocacy organization, Planned Parenthood Federation of America. Her passion is to remove the last remaining obstacle to leadership parity: women’s learned resistance to embracing their own power. This resistance is why women are stuck at 18 percent of top leadership positions and why the loss of high-performing female employees keeps organizations from optimal success. Chosen by Vanity Fair as one of America’s top 200 women leaders, legends, and trailblazers, Glamour Woman of the Year, and one of Women’s eNews 21 Leaders for the 21st Century, Gloria teaches “Women, Power, and Leadership” at Arizona State University and inspires both men and women with her keynotes and Power Tool workshops. On her website she writes a popular blog, Heartfeldt. She has appeared on most national network and cable shows and as a commentator has been published in major media including the New York Times, the Daily Beast, Salon, forbeswoman.com, and Huffington Post, and says she hangs out on social media far too much.